The process is quiet cool, fresh leaves on the water screen, make the water permeability and a series of chemical changes, Slowly fermented red. Aroma formation and exposure, cell water distribution and fresh leaves were soft state, the green leaves turn yellow. 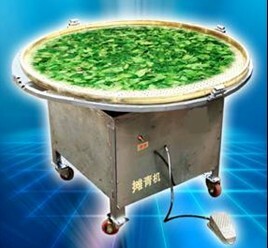 The traditional indoor and outdoor natural sunlight withering due to climatic conditions are constraints must affect tea quality and production. 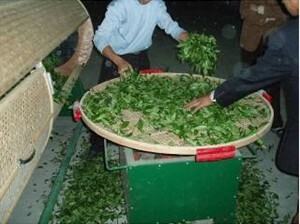 Therefore the air-conditioning and dehumidifiers can wilt even overcome the adverse impact of climate on tea quality. 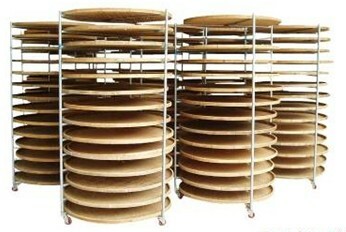 The first role is lost moisture for the subsequent processes, such as fixing rolled ready. the second is disappearance of gas can smell the grass exposed.